Past Life (2016) – What's New on Netflix Canada Today! The year is 1977, and no female has ever been a renowned classical music composer. Sephi Milch, a very determined and talented young woman, aspires to a career as a classical composer, but she knows the odds are against her. In spite of this, she is dead set on changing the course of history and succeeding in the male-dominated classical music world. Her struggle with the burden of history is not only limited to her artistic life – as the daughter of troubled Holocaust survivors, she also has to deal with a sudden revelation from the past that threatens to tear her family apart. Nana Milch – Sephi’s older sister and bitter rival, a scandal sheet journalist and an aspiring playwright – considers this startling revelation an opportunity to free herself from the stranglehold of her parents’ past. Sephi is weary of her sister’s tendency to look for trouble, but in this case she has no choice but to join Nana’s quest for the truth. 1977 is the year Egyptian president Sadat decided to break the shackles of history and bravely embark on a peace process. In many ways this is exactly what the two sisters need to do, as they travel throughout Europe, bent on uncovering the past and getting to the truth behind their parents’ darkest secret. As the two are inevitably drawn into an emotional roller coaster ride, they discover that freedom bears an exacting price, as does the struggle to liberate one’s unique artistic voice. 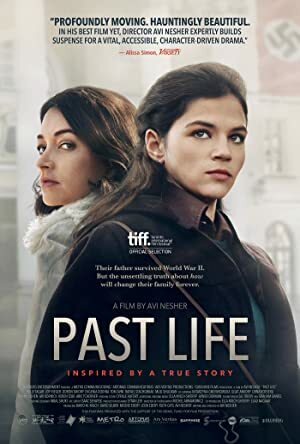 Past Life tracks the daring late 1970s odyssey of two sisters – an introverted classical musician and a rambunctious scandal sheet journalist – as they unravel a shocking wartime mystery that has cast a dark shadow on their entire lives.